Study this picture and then write about whatever comes to mind. 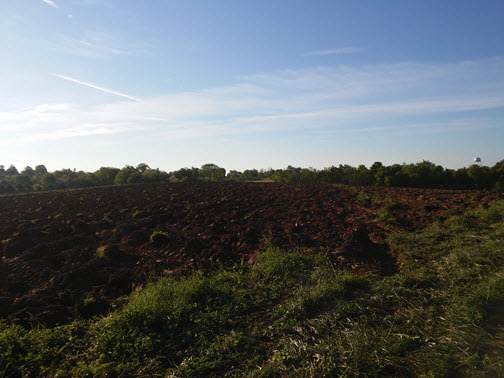 When I encountered this newly plowed field this morning I was struck by all the possible responses evoked by the sight. What potential do you see here? Now look at this close up. 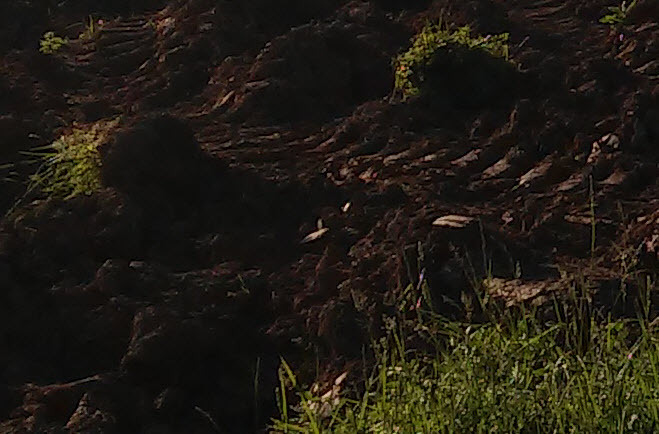 Study the tractor’s tire tracks…the overturned earth…the chopped sections of grass. What ideas and emotions does this evoke? Can you find you or your life represented here? If you #JustWrite don’t forget to share!